Many of the slide decks used for presentations can be found on my Slideshare page. Nantais, M., Kirk, J., & Brown, C. (2018). Digital technology as a means to enhance the experiences of students in teacher education: A self-study from three perspectives (round table). Canadian Society for the Study of Education 2017 Annual Conference (CSSE). May 26 – May 30, 2018. University of Regina, Regina, SK. Galatsanou Tellidis, E., & Nantais, M. (2018). Program a Sphero robot and unlock the fun! Riding the Wave 2018. May 10–11, 2018. Gimli, MB. Nantais, M., Brown, C., Farrell, A., Kirk, J., & Smith, C. (2018). Engaging students in online synchronous discussions. Education for the World, Education in the World: MADLaT Conference, May 3-4, Universite de Saint-Boniface, Winnipeg, MB. Nantais, M, Skyhar, C., & Margetts, S. (2017). Promoting numeracy through a family math night. Learners at the Centre : MERN Research Forum, November 3, 2017, Brandon, MB. Nantais, M., & Galatsanou Tellidis, E. (2017). Beginning coding using Spheros. Manitoba Association for Computing Educators (ManACE) as part of MTS PD Day, October 20, 2017. Brandon University, Brandon, MB. Kirk, J., & Nantais, M. (2017). A round table about action research as a mechanism for school change. Canadian Society for the Study of Education 2017 Annual Conference (CSSE). May 26 – June 1, 2017. Ryerson University, Toronto, ON. Nantais, M., & Kirk, J. (2017). A case study of a 1:1 computing initiative in a rural high school. Education in a Digital Age: MERN Research Forum #49, January 27, 2017, Winnipeg, MB. Nantais, M. (2016). Google, much more than a search engine: Using google apps for teaching and learning. Workshop for Brandon University. November 17, 2016. Centre for Teaching, Learning, and Technology. Brandon University. Nantais, M. & Kirk, J. (2016). Classroom Research to Improve Practice. Presented at Learning Information for Teachers (LIFT) Conference, October 21, 2016. Tycoles, R., Dupre, J., Nantais, M., & Kirk, J. (2016). Increase student engagement through the game of hockey. Twenty-first National Congress on Rural Education: Imagine the Possibilities. March 20 – March 22, 2016. Saskatoon, SK. Martell, J., Peters, L., Kirk, J., Nantais M., Evans R., Johson, L., Willetts, D., & MacNeil, N. (2015). Reimagining Learning Spaces in Schools. 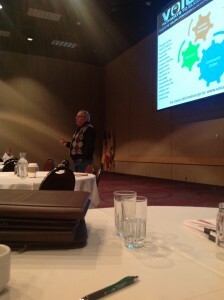 Manitoba Association of School Superintendents (MASS) November Conference. November 4-6, Winnipeg, MB. Nantais, M. (2015). Social Media Pedagogy (poster). Social Media and Society: 2015 International Conference. July 27-19, Ryerson University, Toronto, ON. Nantais, M. & Kirk, J. (2015). Using social media to engage educators in learning (poster). Social Media and Society: 2015 International Conference. July 27-19, Ryerson University, Toronto, ON. Kirk, J., Nantais, M., Osiname, A. (2015). Reimagine Lakeshore: A Reflective Analysis of a School Division Change Initiative. Canadian Society for the Study of Education 2015 Annual Conference (CSSE). May 31 – June 4, 2015. University of Ottawa, Ottawa, ON. Kirk, J., Nantais, M., Martell, J., Peters, L., & Osiname, A. (2015). Reimagine Lakeshore: A Mixed Methods Review of a Systemic Change Initiative. Toward Justice: Culture. Language, and Heritage in Education Research and Praxis: 2015 Annual Meeting of the American Educational Research Association (AERA). April 16 – 20, Chicago, IL. MacNeil, N., Willetts, D., Kirk, J., & Nantais, M. (2015). Reimagining Facilities to Support Learning. Twentieth National Congress on Rural Education: The Changing Reality of Rural Schools. March 29 – March 31, 2015. Saskatoon, SK. Goranson, P., Nantais, M., & Kirk, J. (2015). India Through the Eyes of an iPad – Integrating Technology in an Early Years Classroom. Twentieth National Congress on Rural Education: The Changing Reality of Rural Schools. March 29 – March 31, 2015. Saskatoon, SK. Nantais, M., Kirk, J., & Cockerline G. (2014). 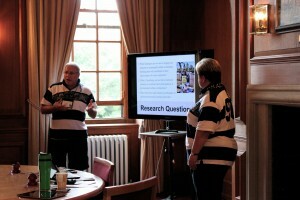 Using Social Media for Teaching in Higher Education. MADLaT International Conference 2014. May 1-2, 2014. Winnipeg, MB. Nantais, M. (2014). Teaching With Social Media. Nineteenth National Congress on Rural Education: The Changing Reality of Rural Schools. March 30 – April 1, 2014. Saskatoon, SK. Martell, J., Peters, L., Kirk, J., & Nantais, M. (2014). Excitement, Energy and Enthusiasm: Lakeshore School Division and the Process of Change. Nineteenth National Congress on Rural Education: The Changing Reality of Rural Schools. March 30 – April 1, 2014. Saskatoon, SK. Nantais, M., & Reimer, R. (2014). Introduction to SAMR. ManACE Technology Information Night. February 25, 2014. Brandon, MB. Nantais, M., Kirk, J. & Forsyth, D. (2013). Using Ning in Teacher Education. Presentation to Faculty of Education, December 5, 2013. Nantais, M. & Kirk, J. (2013). Student Engagement Using Social Media in Teacher Education. Social Media: Implications for the University. May 2013. York University, Toronto, ON. Nantais, M. & Reddekop, R. (2012). What should beginning teachers know about using ICT as a professional educator? Embracing the Edge. October 19, 2012. Winnipeg, MB. Nantais, M., Kirk, J., & Gawletz, C. (2012). Social networking for students in higher education.. 11th Annual International MADLaT Conference. May 4. Winnipeg, MB. Cockerline, G., Nantais, M., & Jardine, L. (2012). Inquiries into technology based course delivery: Lessons learned. 11th Annual International MADLaT Conference. May 4. Winnipeg, MB. Cockerline, G. & Nantais, M. (2012).Enhancing technology-based course delivery: There is no magic bullet. 17th National Congress on Rural Education. March 25‐27, 2012. Saskatoon, SK. Nantais, M. & Kirk, J. (2011). Using social media in higher education. Brandon University Teaching Enhancement Conference. September 1, 2011. Kirk, J., Nantais, M. & Cockerline, G. (2011). 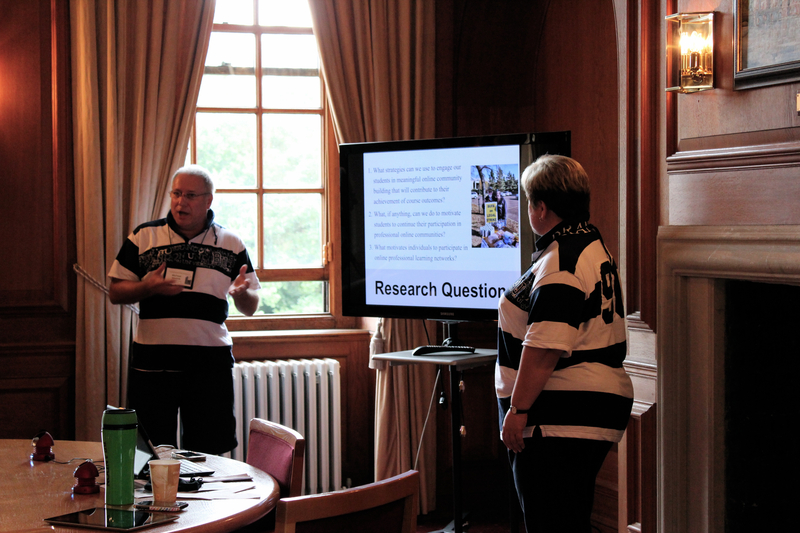 Using social media in higher education: Constructing shared knowledge. Teaching & Learning with Technology Conference, June 14-15. Saskatoon, SK. Nantais, M., Kirk, J., Brown, C., Cockerline, G., & Gawletz, C. (2011). Teaching with technology: engaging faculty in a process of change. 10th Annual International MADLaT Conference. May 6. Winnipeg, MB. Kirk, J., Nantais, M. & Brown, C. (2011). Are you connected? Social‐networking in education. 16th National Congress on Rural Education. March 27‐29, 2011. Saskatoon, SK. Nantais, M. & Gamey, L. (2011). Creating a culture of critique, justice & care in teacher education. MERN Research Forum: Transforming Practices for Teaching, Learning and Leading. January 21. Winnipeg, MB. Cockerline, G., Nantais, M., Kirk, J. & Brown, C. (2011). The [R]evolution of the Internet & higher education: Shifting paradigms. MERN Research Forum: Transforming Practices for Teaching, Learning and Leading. January 21. Winnipeg, MB. December 10, 2009, Southwest School Superintendents (with C. Gawletz). December 17, 2009, Web Based Contacts Meeting (MB Education) (with C. Gawletz). Nantais, M. & Kirk, J. (2010). Engaging learners using social networks in teacher education. MERN Research Forum: Education for Sustainability. November 5. Brandon, MB. Cockerline, G. & Nantais, M. (2010). Digital misconceptions: Implications for teaching & learning. SLOAN/MERLOT International Conference. Jul 20th to 23rd. San Jose, CA, USA. Nantais, M. (2010). Digital Photography: Online tools. Workshop for Faculty of Education, Brandon University, May 14, 2010. Cockerline, G. & Nantais, M. (2010). Are millennials digital illiterates? Busting the myth about the current cohort of post-secondary students. 9th Annual International MADLaT Conference. May 7. Winnipeg, MB. Nantais, M., Gawletz, C. & Terry, M. (2010). Lessons learned form practitioners of online learning: an exploratory research study. 9th Annual International MADLaT Conference. May 7. Winnipeg, MB. Cockerline, G. & Nantais, M. (2010). Millennials: The digital generation – or not? Teaching & Learning with Technology Conference. April 26- 28. Saskatoon, SK. Nantais, M., Kirk, J., Brown, C., Cockerline, G. & Forsyth, D. (2010). Engaging faculty in discussions about the process of teaching with technology. April 26 – 28. Saskatoon, SK. Nantais, M. (2009). Digital Technology: Panacea or Pandora’s Box? Public presentation at the University of Manitoba, November, 2009 (as part of a Ph.D. course). Nantais, M. & Cockerline, G. (2009). 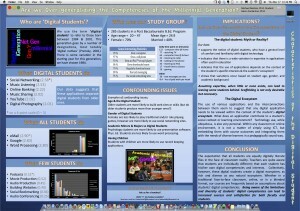 Are our students all equally digital native? 8th Annual International MADLaT Conference. May 8. Winnipeg, MB. Nantais, M. & Cockerline, G. (2009). Digital natives – myth or reality: Issues in teaching ICT literacy. MERN Research Forum #18: Critical Conversations on Teaching & Learning. April 24. Winnipeg, MB. Cockerline, G. & Nantais, M. (2009). How ICT-Ready are our Teacher-Candidates? MERN Research Forum #17: Science Teaching & Learning. February 7. Winnipeg, MB. Nantais, M. (2009). iTunes and iTunes store: Yes, they do have educational uses! BYTE 2009: Engaging the 21st Century Learner. February 27. Minnedosa, MB. Nantais, M. & Kleebaum, S. (2009). The wonderful world of wikis. BYTE 2009: Engaging the 21st Century Learner. February 27. Minnedosa, MB. Nantais, M. (2008). Social Bookmarking. ManACE (Manitoba Association of Computing Educators) Technology Information Night, Brandon, MB, November 26, 2008.